I don’t know about you, but I’m ready to see a color other than white! I am so done with winter! This colorful floral bouquet of spring blooms pops off the page to celebrate spring and brighten your day. 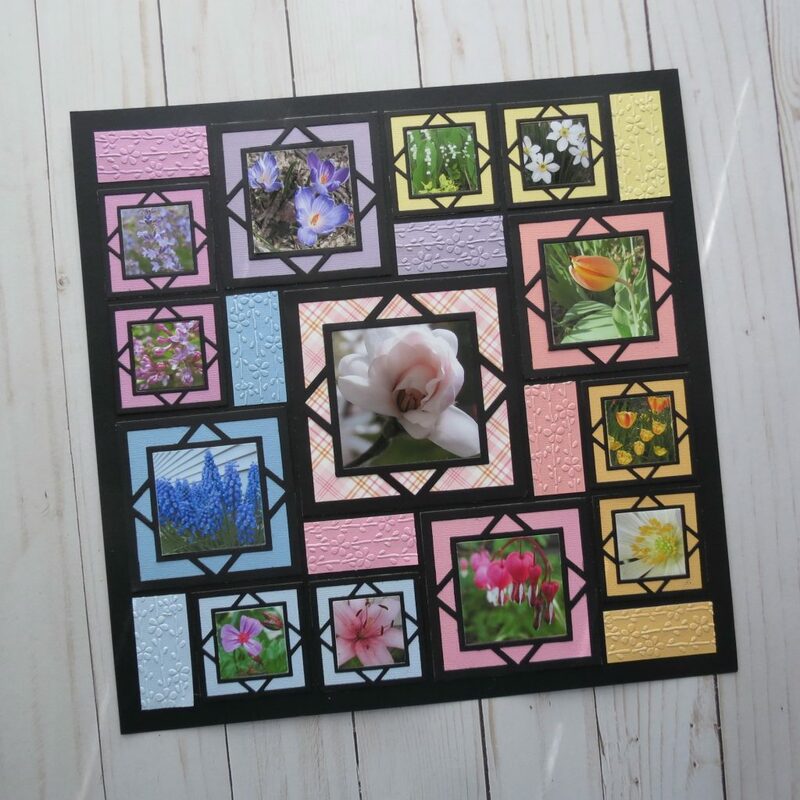 Beginning with Mosaic Moments Grid Paper in Black, Pattern #311 and the Square Diamond Frame Dies in 2×2, 3×3 and 4×4, all cut from black cardstock, I was ready to choose my photos and background colors. 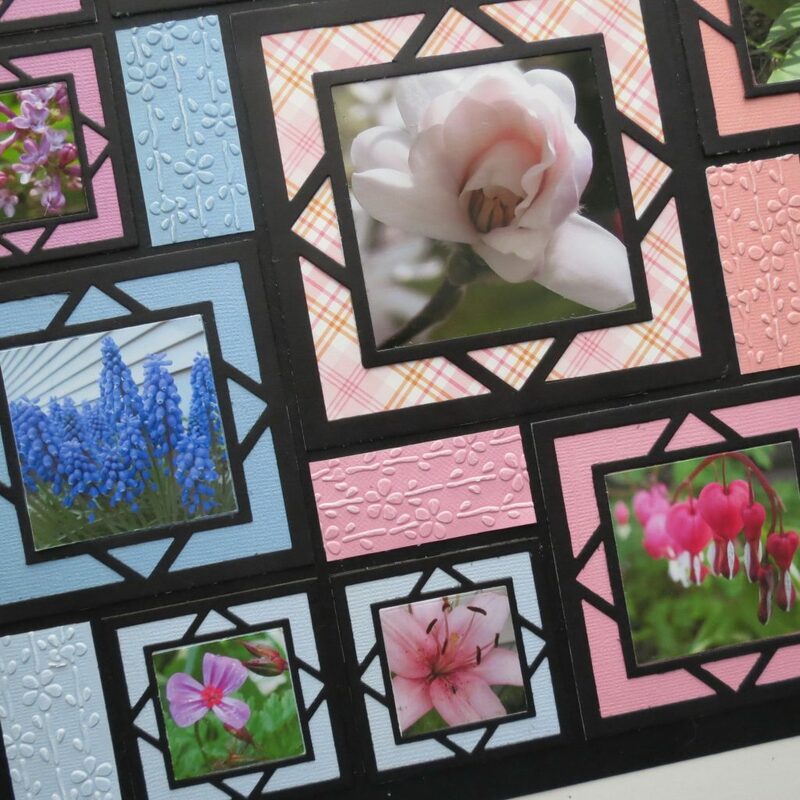 The 1×2 rectangles are run through an embossing folder, Anna Griffin’s 1” cherry blossom for texture and add interest with floral theme. All these flowers are found in my yard and each year I take pictures of all the same flowers, but each year they all look so different. I catch them blooming at different times, sometimes fuller flower beds or more stunning buds unfolding. Even where I stand or stoop to get my shots make small but noticeable differences. These close ups of flowers from my garden allows me to see the details in the petals, leaves and more. 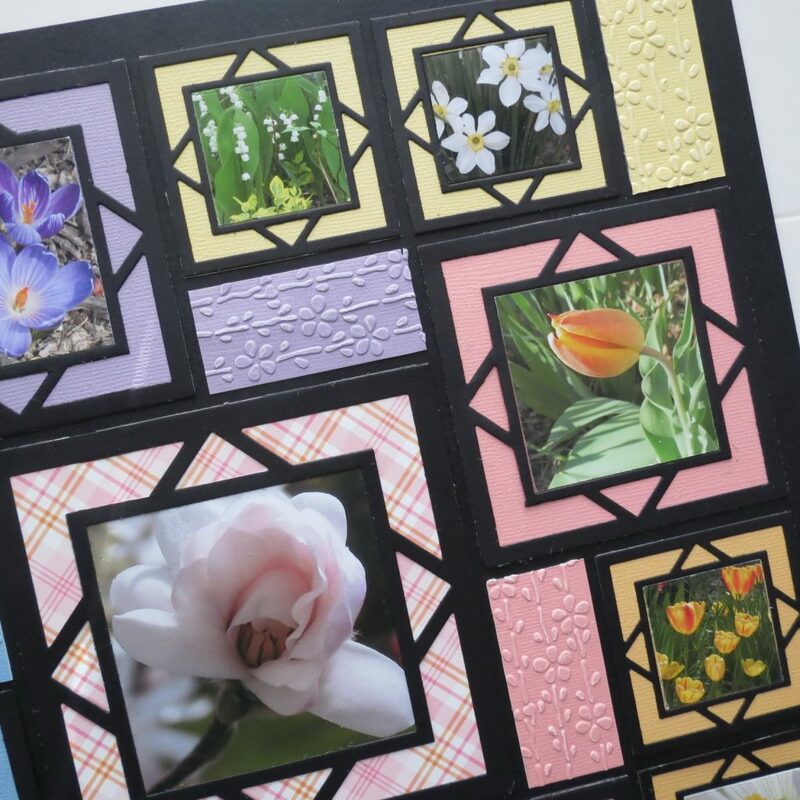 We’ll get the interesting and unusual pictures to create a layout that will look different each year even with the same flowers. 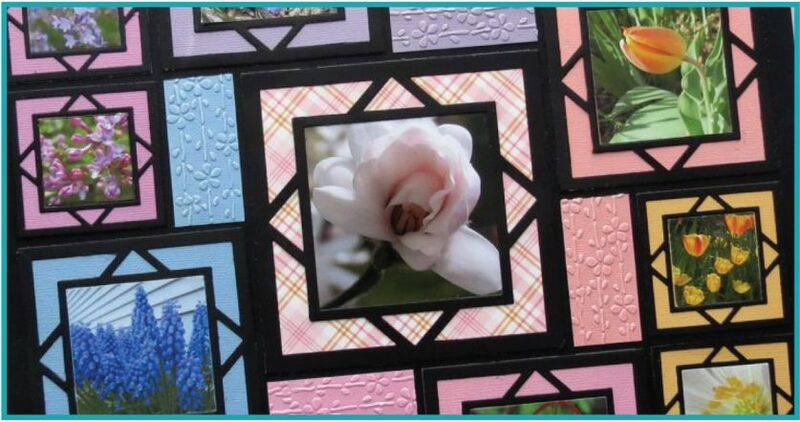 What I like about using this Square Diamond Frame family of dies is the options it affords me. 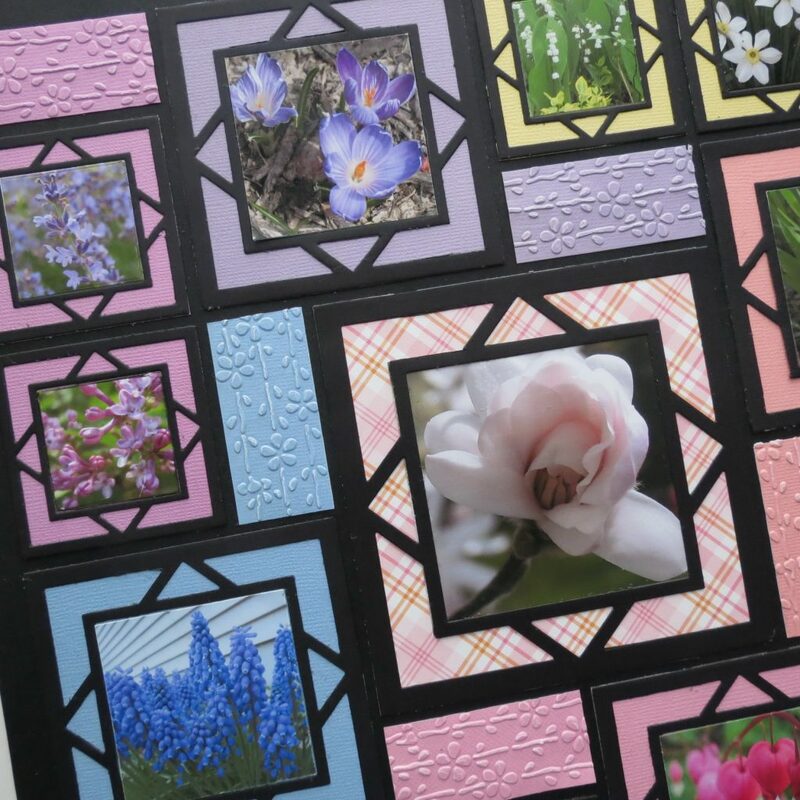 I can use several colors as backdrops or inlaid pieces or a photo. 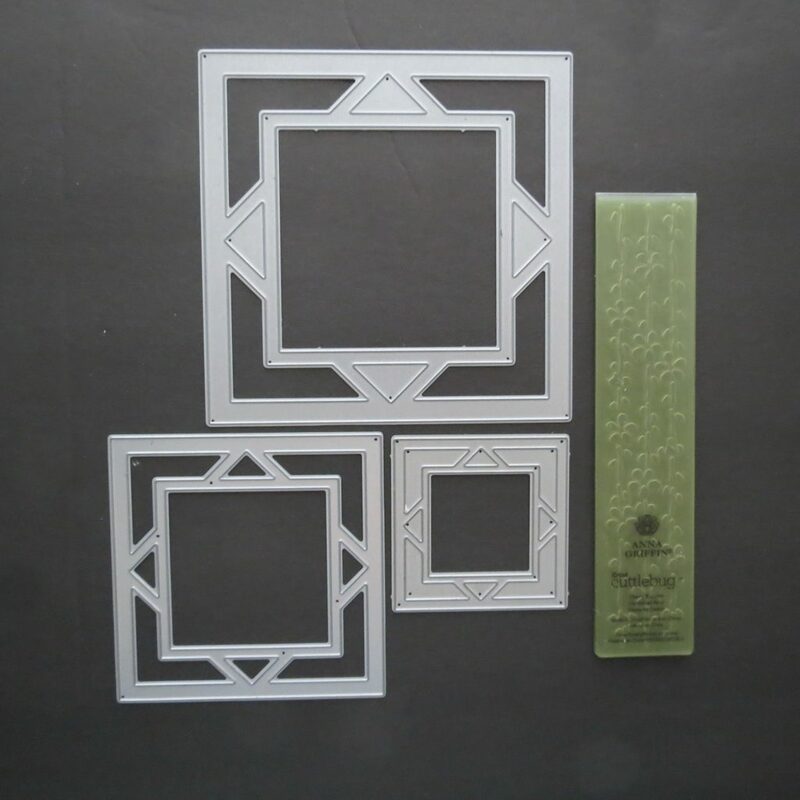 The framed die allows a nice frame, with a diagonal design to bring the focal point to our attention. What I did use was a single pastel color background behind each photo, using eight different colors. 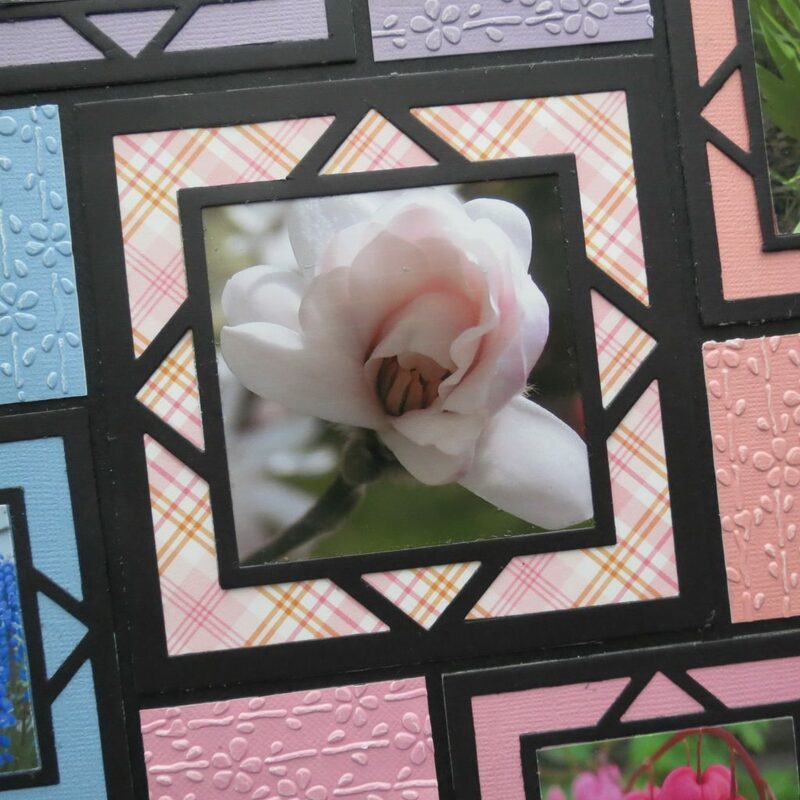 The pastel Cardstock backgrounds are chosen to enhance each of the flowers. 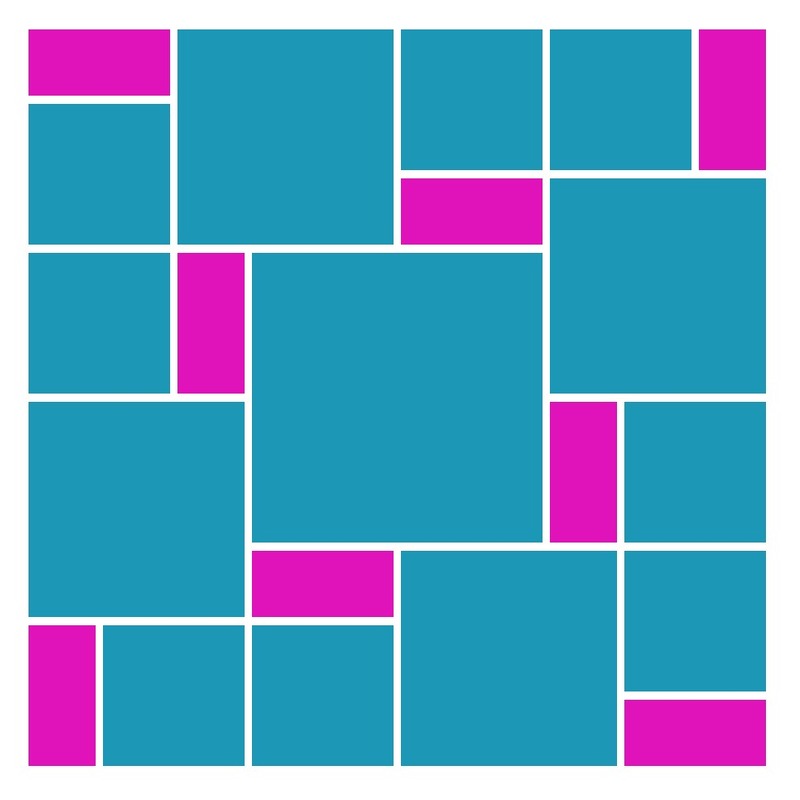 The color arrangement keeps your eye moving around the page taking it all in. 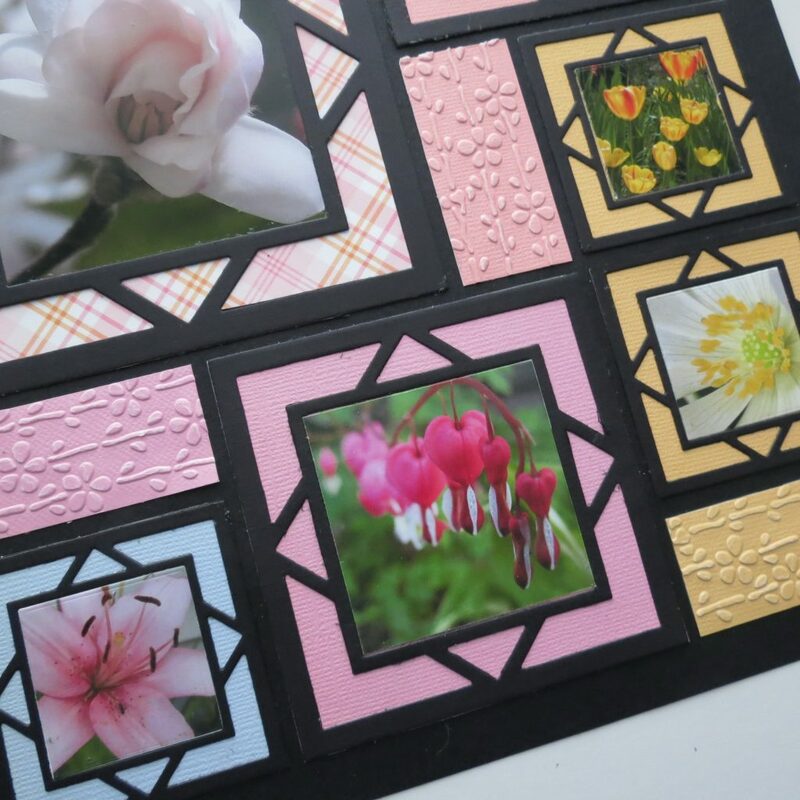 The variety of colors keeps it interesting and the embossing adds texture. 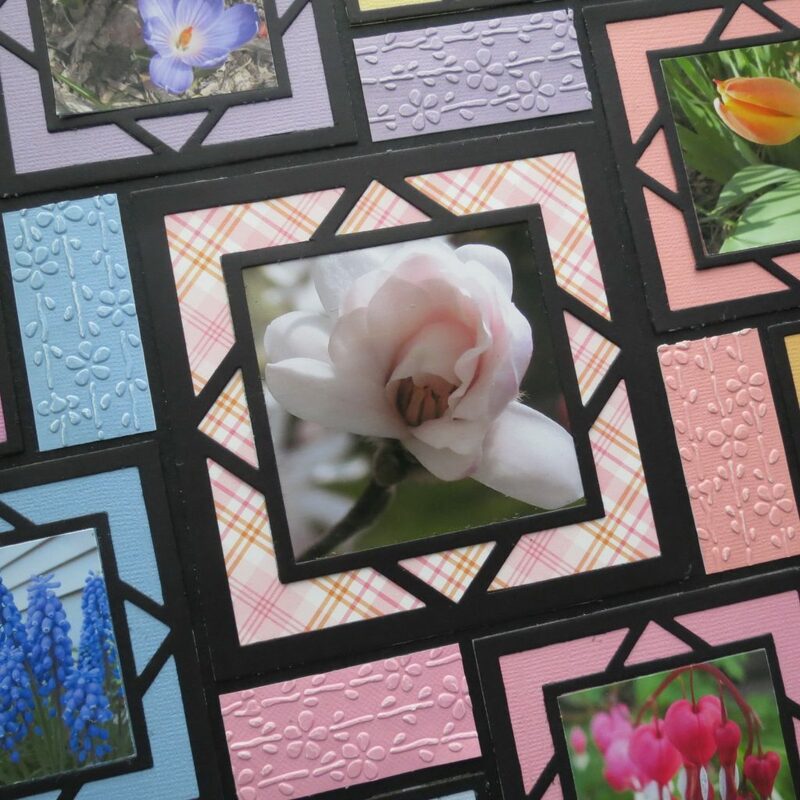 I used plaid paper as a background for the central photo to set it apart a bit from the rest. Softer in color it doesn’t take away from the beauty of the main focal point and blends well with the surrounding colors. 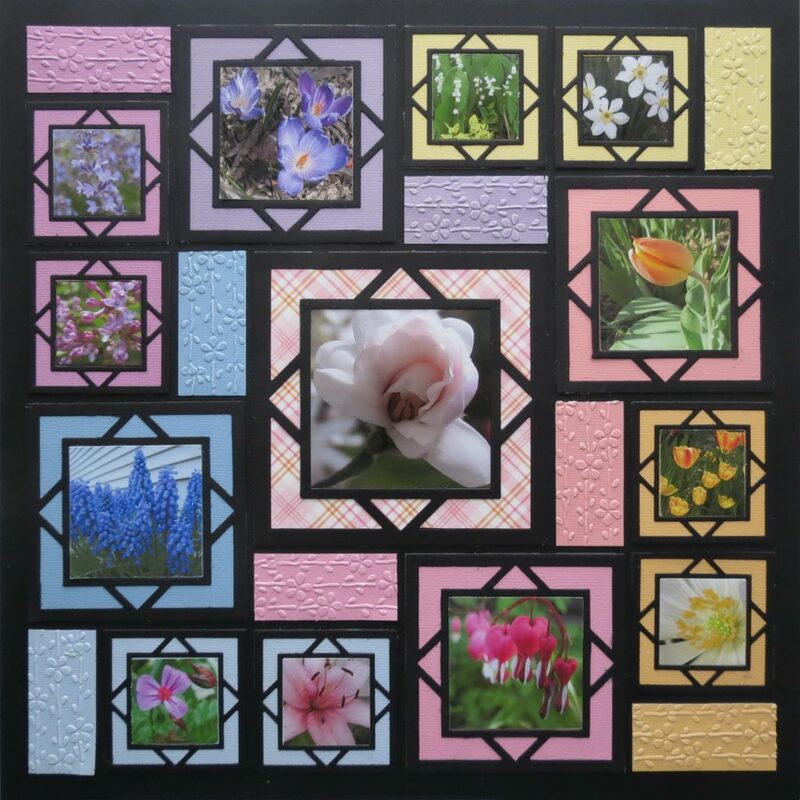 These spring flowers in this layout bring a big colorful spring bouquet to your pages. Find a pattern and get your photos ready to fill your bouquet!